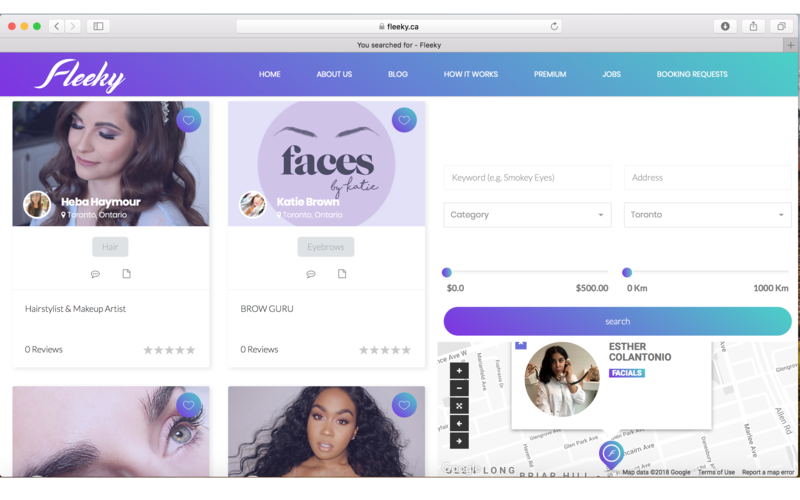 ﻿Fleeky.ca is a Toronto-based free beauty platform that connects independent beauty professionals with beauty clients. ﻿Fleeky.ca is a beauty platform that connects independent beauty professionals with beauty clients. Beauty professionals can market, manage and grow their clientele as beauty seekers book by location, prices and reviews. Fleeky was founded in 2017 and is partnered with McMaster University and Ryerson’s Fashion Zone.